Babies Benefitting from Being Bilingual! 08 Sep Babies Benefitting from Being Bilingual! Measuring an infant’s capabilities is not as easy as you might think – but visual habituation is one fairly accurate task that can help to determine a baby’s future IQ. In the study, 114 Singaporean six-month-olds were repeatedly shown a picture of a fun toy representing either a bear or a wolf. When they began to lose interest in one image, they were shown the alternative animal, which was always appealing to them. The bilingual babies distinctively became bored with the first image quicker than the monolingual infants. Results did show that there was a link to cognitive thinking. 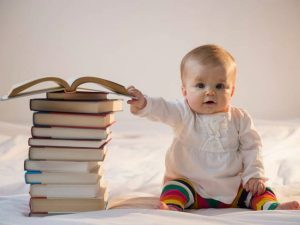 One theory is that because babies are exposed to two languages, they require strong information processing skills in order to switch back and forth between the two languages. The efficiency in which they develop in order to achieve this appears to stand them in good stead for the duration of their lives.